When IT Assets are Ready To Retire, CWI is Here to Recover, Remarket, & Resell Them. For over 20 years CWI has offered warranted, high quality, IT asset recovery and remarketing services to companies of all sizes. Since our inception we have been consistently recognized and respected as an industry leader in IT asset recovery and remarketing. Our services will help your company receive the maximum possible value for IT assets which are aging out of your needs. IT assets, including computers, personal electronics, servers, and more, that have depreciated in value can still offer residual returns to your organization. 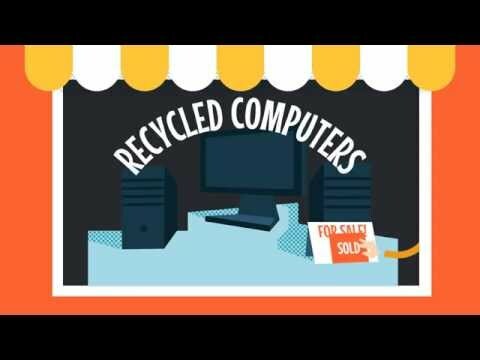 When recycling old computers or electronics, we help your organization receive the maximum possible value for retired, depreciated, or unwanted electronic equipment. We maximize the sales proceeds of your used IT assets by selling through a network of deep and well-established channels that we have built as a trusted vendor of quality used equipment. Our IT disposition services are second to none and can create a safe way to recover residual value when recycling e-waste. In addition to helping your organization recover value from your e-waste, we also ensure secure data destruction services for your recycled computers and other electronic devices. This hard drive destruction ensures that your private and confidential data is forever removed from any recycled computer. Don’t just dispose of your computers, get value from them with our unique and secure IT asset recovery solutions. Want to know the value of your used assets? GoCWI will help you get maximum return. Please let us know a little bit about your computer and IT assets. Direct Buy and Consignment models are available based on customer need. Our state of the art tracking system is second to none and can be integrated with existing systems. CWI is proud to meet the requirements for Global Environmental Services certification.